Las Vegas (AP) — Andre Ward and Sergey Kovalev will meet in a rematch June 17. The light heavyweight stars announced an agreement this week to fight at the Mandalay Bay Events Center in Las Vegas. Ward (31-0, 15 KOs) edged Kovalev (30-1-1, 26 KOs) by unanimous decision last Nov. 19 at T-Mobile Arena. Ward came back from a second-round knockdown to win the decision by 114-113 scores on all three judges’ cards. 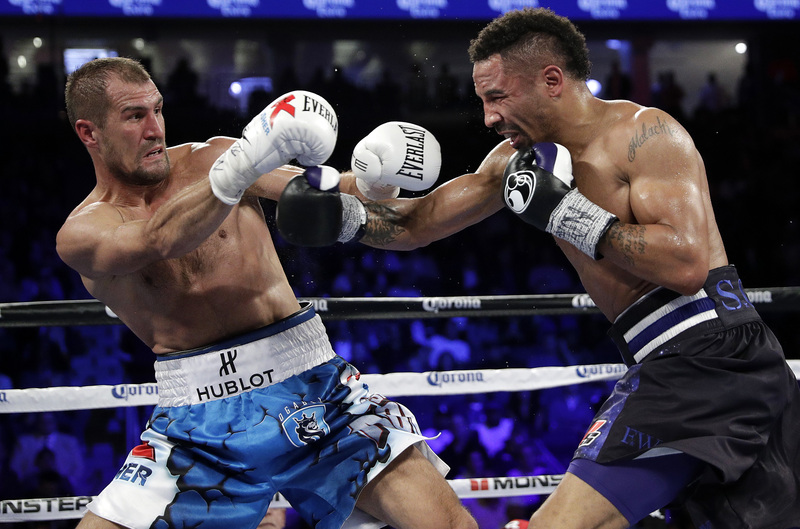 Ward claimed Kovalev’s WBA, IBF and WBO light heavyweight belts in one of the most entertaining fights of the Olympic gold medalist’s career. But Ward had to rally in the second half of the pay-per-view bout, and many fans took issue with the judging. Kovalev thought he won the fight, and the Russian exercised a rematch clause in his contract.